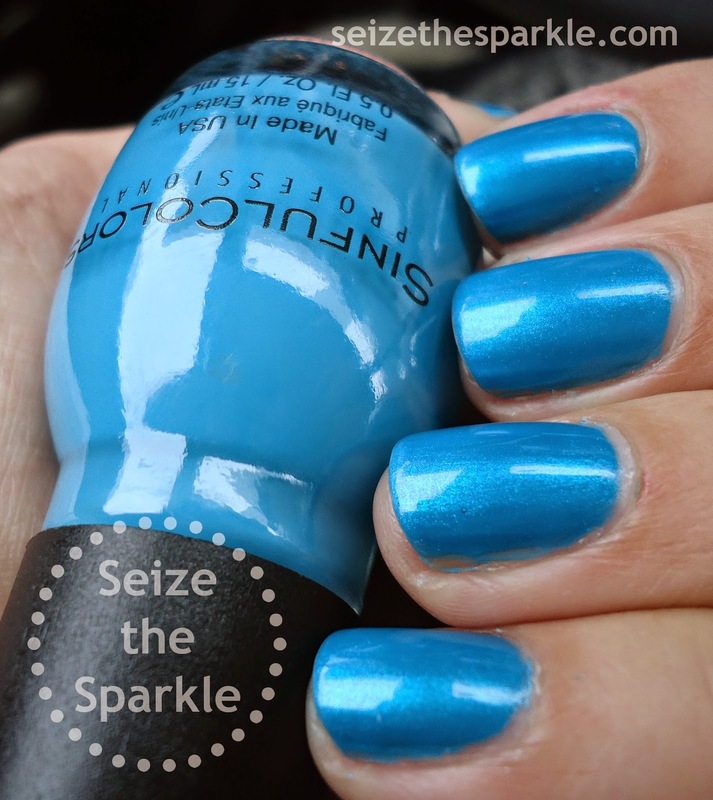 SinfulColors Savage is a gorgeous peacock blue creme that dries matte and is easily opaque in one coat. Buuuut you know me and my wrapping issues, so two coats it was! 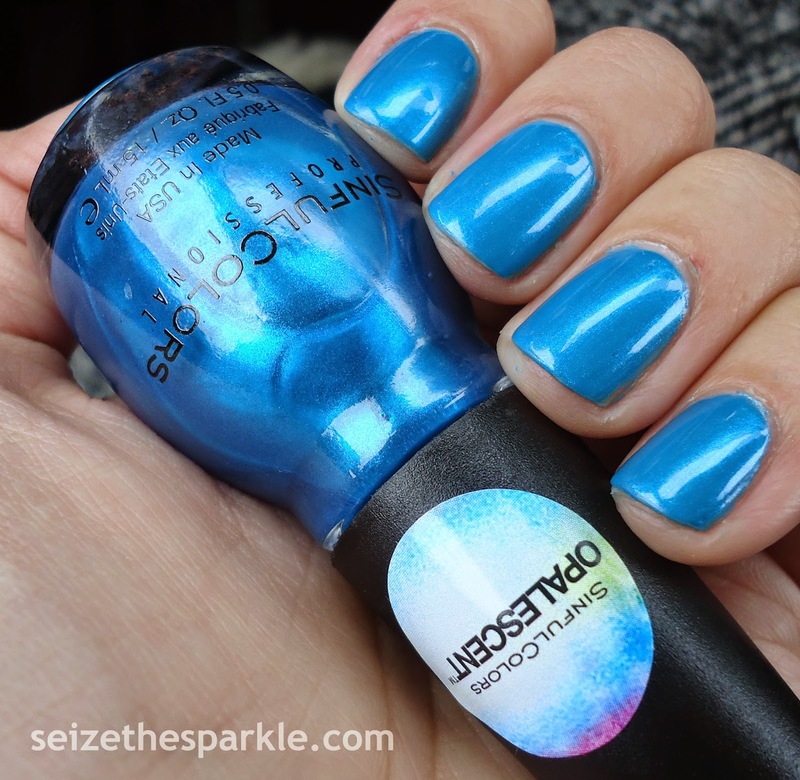 On top, I layered Prized Plume, a gorgeous cornflower blue irridescent shimmer that really makes Savage shine and come alive. 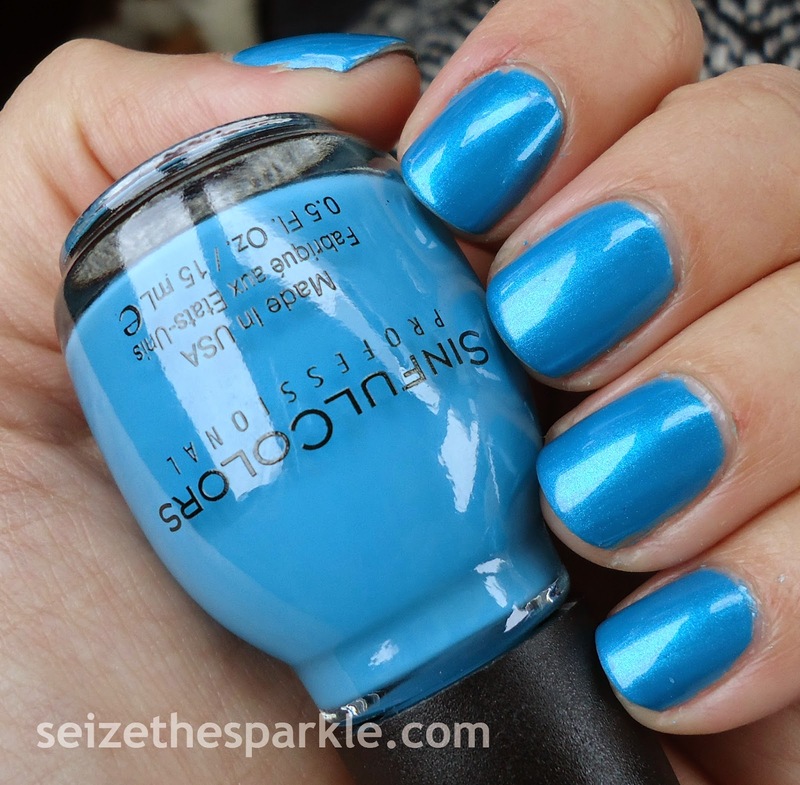 Prized Plume is one of three opalescent toppers included in SinfulColors Spring Fever collection for 2015. Prized Plume was sent for review, and I picked up Savage last week at Walgreens. It's part of the permanent collection there, and I believe you can find it on the Flight Patterns Spring Fever display. So far, I've only spotted that display at KMart, and that was on January 29th. I have yet to see a new SinfulColors display at either of my area Rite-Aids. They seem to be very understocked with LE displays at the moment. Booooo. But YAY for bright blue layerings like this one that make me hang on to the hope that is called Spring. Because honestly, I'm so incredibly over snow, ice, sleet and even my Uggs. Bring on the rain boots, windbreakers and WARM. 'Cause, you know, right now warm is like 40, but I will take it in a heartbeat! Anyone else out there channeling Spring like me?